General Information: The richly flavored Brown Beech mushroom is regarded as one of the most "gourmet" of all the oyster-like mushrooms. Firm textured and possessing a mildly sweet, nutty taste, this mushroom can be incorporated into a broad range of recipes from soups and sauces to stir-fries. The creative cook or chef will find this superior mushroom to be highly versatile. When cooked alone, Shimeji mushrooms can be sauteed as a whole, including the stem or stalk (only the very end cut off), using a higher temperature or they can be slow roasted on a low temperature with a small amount of butter or cooking oil. 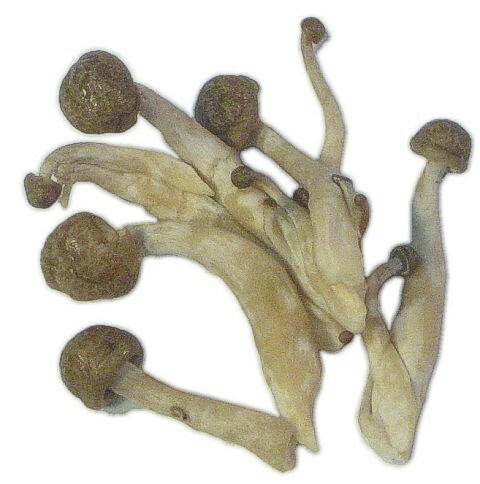 Shimeji is used in soups, nabe and takikomi gohan.